The name “Old Miner” was essentially a trade term, used by diamond dealers ( circa 1750-1880). Today. the circular brilliant cut is the standard, and other shape outlines (e.g., cushion) are only applied when the rough favors them. However, during the last three hundred years. 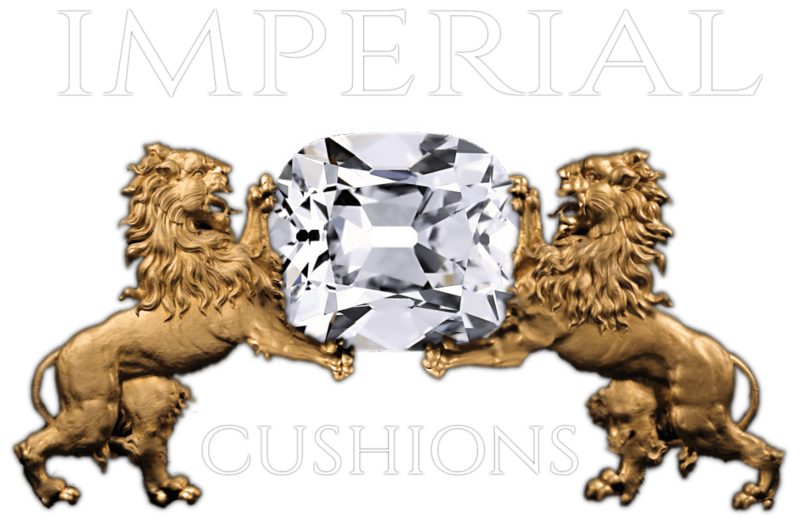 a number of large cushion-shaped brilliants have been fashioned, including the Tiffany (yellow), the Regent (colourless), Polar Star (colourless), Queen of Holland (colourless), Jubilee (colorless), Emperor Maximillian (colourless), and the Cullinan II & Cullinan IV (colourless) diamonds (Ayer 1971; Balfour 1997; Copeland 1974). ” … The Regent diamond … because of its excellent proportion and exceptional symmetry, it was regarded for centuries as unrivalled in every aspect …. this obviously resulted in uniform brilliance – virtually unheard of in cushion shaped diamonds.” 11. Tillander diamond cuts in historic Jewelry 1995 . 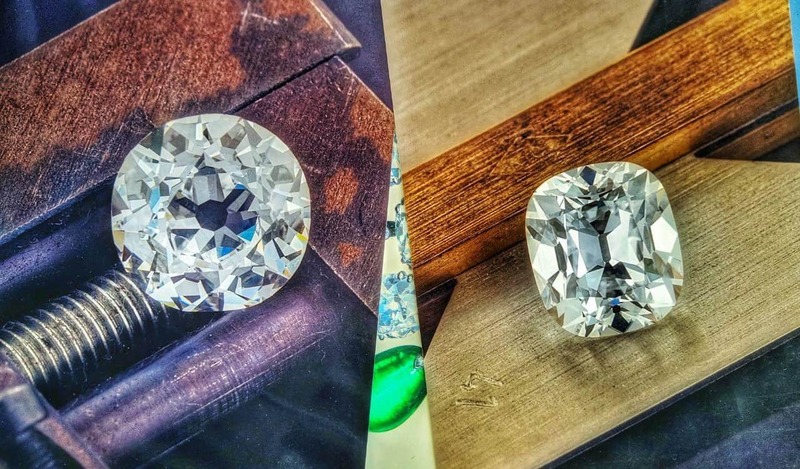 The slight differences between the older and modern “old mine” cuts (i.e .. perfection of faceting), adds considerable “life” (i.e. brilliance and scintillation) to these one-of-a-kind diamonds. The result is a breathtaking, undulating, and restless mosaic of white and neutral colours. that truly is an artistic crystalline creation which features superb brilliance. magnificent dispersion and excellent scintillation for such beautiful colourless diamonds. On the next article we will discuss color characteristics such as hue, lightness, saturation and face up color. as well as the different names and terms that were used to describe these magnificent and magical stones. Stay Tuned!